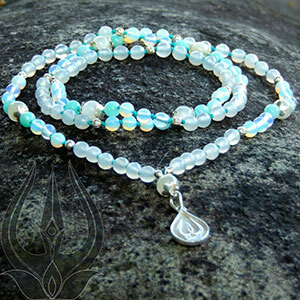 The great night of Shiva, Maha Shivaratri… the night when we gather to praise Lord Shiva and repeat his mantra. 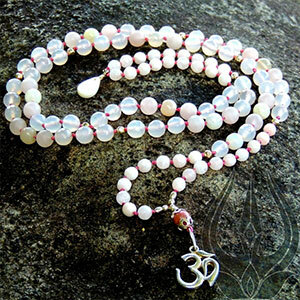 Shiva is he who dances the world into being while marking the rhythm of time with his damaru drum. 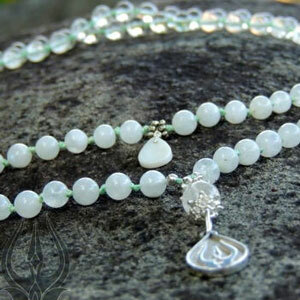 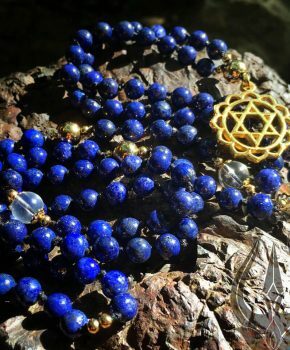 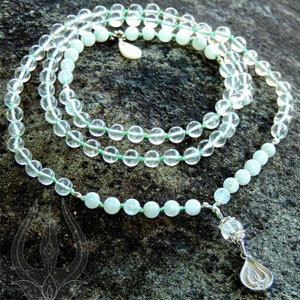 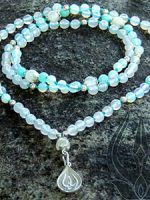 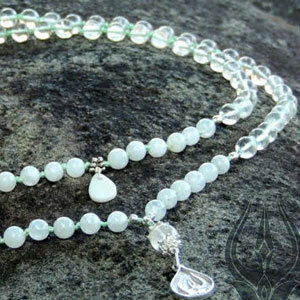 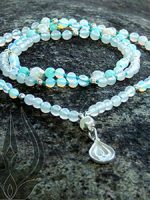 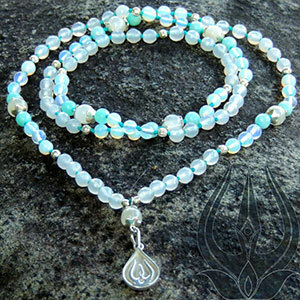 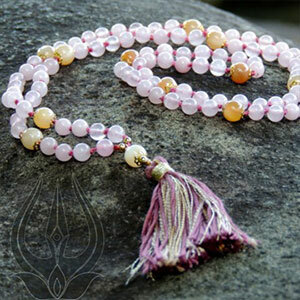 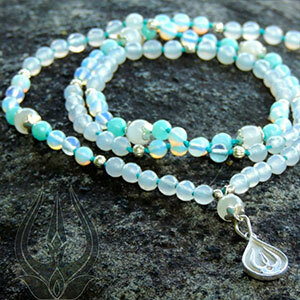 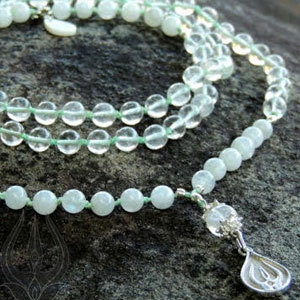 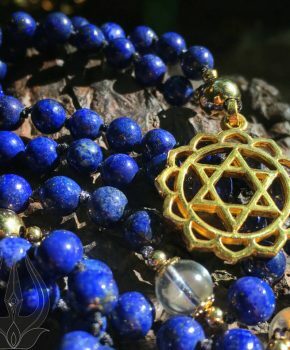 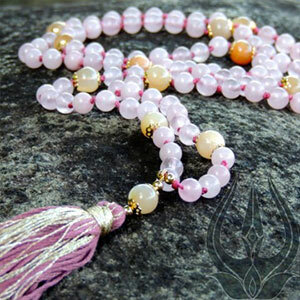 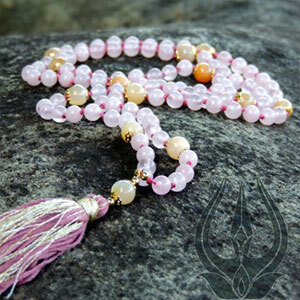 Powerful mālā created with facetted light and blue agatha, opaline and moonstone adorned with silver. 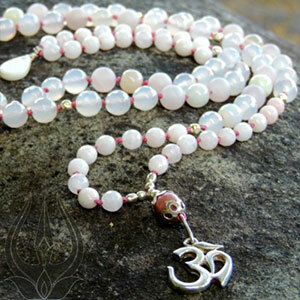 Moonstone guru bead and trishul (trident) silver Om pendant.